hd00:20ROME - MAY 7, 2018: tilting down to Colosseum with tourists and toy seller outside in Rome Italy Europe. Colosseum was used for gladiatorial contests and public spectacles. hd00:26ROME - MAY 7, 2018: Colosseum tilting down to crowd of people, tourists crowded outside in Rome Italy Europe. 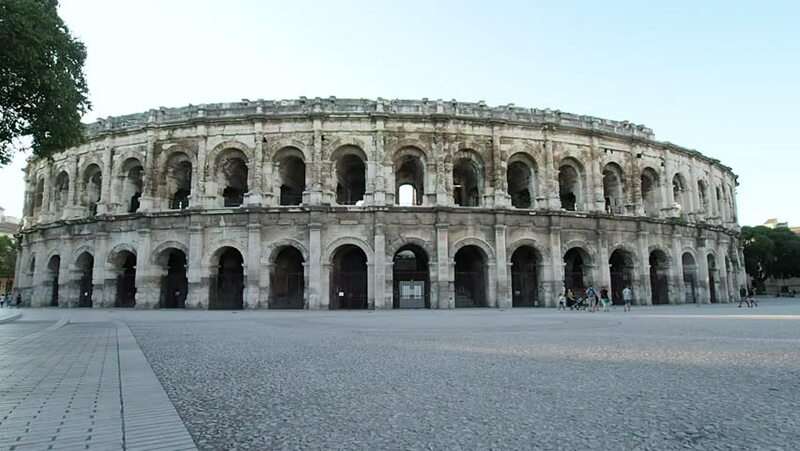 Construction on the historic amphitheater began in AD 72 and was completed in AD 80.
hd00:30Facade of Roman Coliseum Pan. Filmed in Rome, Italy, on quiet autumn evening.